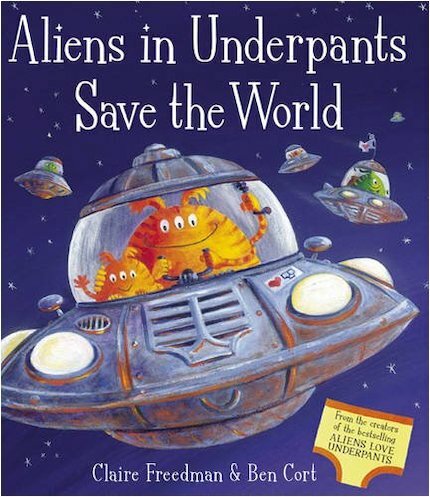 Aliens love underpants! It’s lucky that they do. For pants helped save our universe. Sounds crazy but it’s true! 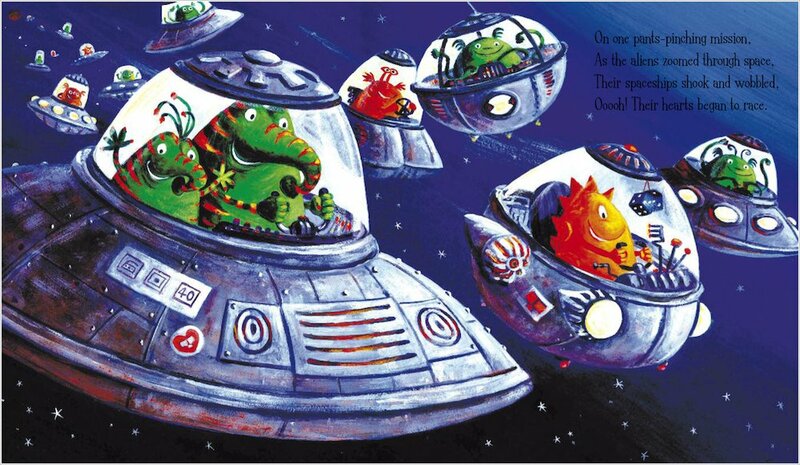 Those cheeky aliens are back – and now they’re on a mission to save the world! A gigantic meteorite is heading for Planet Earth, threatening to wipe out all the people… and their pants. 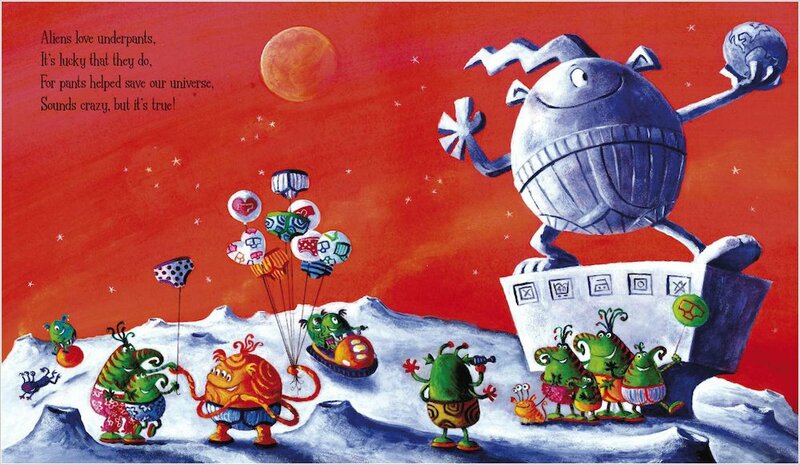 Can the brave aliens come up with a plan so fantastic that they save the universe with knicker elastic? More deliciously daft rhyming fun from an award-winning duo. What’s funnier than pants? 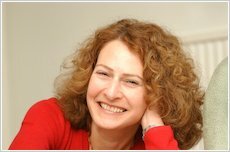 Aliens in pants – and here they come! I have the whole series of these books. They are awesome because of the funny rhyming sentences and the bright, colourful,humerous pictures.Great for children young and old. 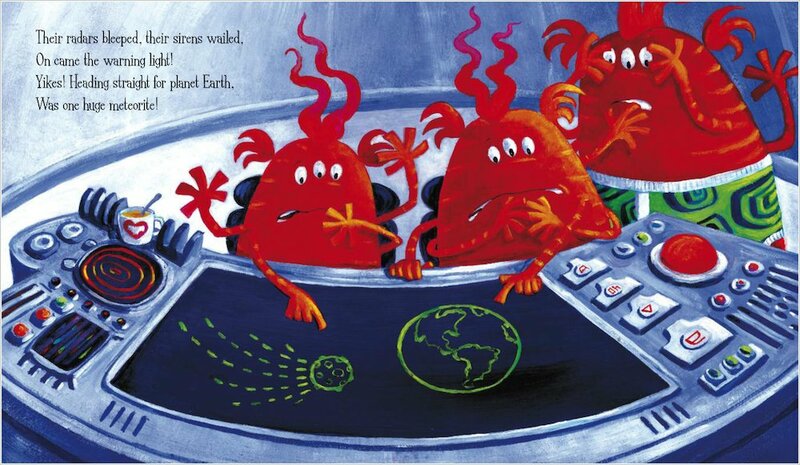 I read this to my brother, at bedtime and he laughs its cool book I like reading it aloud to. alians in underpants in the BEST. it is the best childrens book i have ever read. it is sooooooooo cool!